The January Sea Slug Census period is now over. Thank you to everyone who took part. The analysis is underway, and a full report will be available here soon. Please upload any images you have to NatureMapr as soon as possible. Or contact us and we can assist. It's on again in 2019, and we encourage you to get involved in this important project. 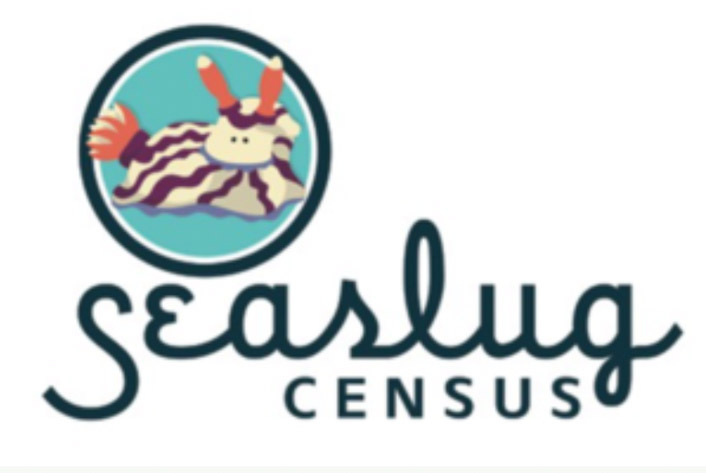 Whether you are a diver, snorkeler or like hunting in rock pools, join the census! Take a walk along the shore, or undertake an underwater search. You'll be contributing to a valuable scientific study. We are very pleased to have marine researcher Matt Nimbs joining us for this Census. Along with Professor Stephen Smith, Matt has been involved with this large-scale survey since its inception in 2013. Matt will be giving the following presentations during the SSC week. We are planning several opportunities for group surveys, led by experienced volunteers. Groups will be on foot, surveying shores and rock pools, or snorkelling. We also encourage you to contact us directly for further information. Simply choose a time and place that suits you. Your survey may be shore based, snorkelling or diving. Low tide is typically the best time to search rock pools. All independent surveying is undertaken at your own risk and registration is essential. We want you all to have lots of fun on the Sea Slug Census, so here are some safety guidelines to help you stay safe and enjoy exploring our coast. The Census period runs from Saturday 12th to Sunday 20th January, inclusive. Any sightings you make during that 9 day period can be included. The Census covers the coastline from Bateman’s Bay in the north, to Nadgee Wilderness and Mallacoota in the south. the Blue Pool at Bermagui, unless big waves are coming in, is a great place to start – we see more different kinds of Sea Slugs there than anywhere else as it is a sheltered enclosed pool. Wagonga Inlet is the best place to look around Narooma. This is a good time of year to find Sea Hares and Bubble shells in local lagoons and estuaries. Anyone who is fit enough for the particular activity, and who is keen to take part. Even if you have never really looked at sea slugs before, that's fine. There are resources and other volunteers to assist with species identification. Sea slug is the common name given to a large group of marine molluscs called 'nudibranchs'. They typically have exposed extensions of the body that serve as gills for gas exchange - hence the name 'nudi' (uncovered) and 'branch' (respiratory surface). They can be as big as your hand, but are often much smaller - some as small as your fingernail, so not easy to see. The best way to log your sightings is directly onto the Atlas of Life NatureMapr database. If you have any difficulty or questions, please contact us for assistance. The Sea Slug Census commenced in 2013, led by Professor Steve Smith, a marine ecologist based at Southern Cross University, Lismore NSW. Professor Smith recognised the valuable contribution that Citizen Science can play in such a study, and coordinates data collected by volunteer groups up and down the east coast of Australia. The Atlas of Life is one such contributor. Our records are of particular interest due to our southern location and the special ocean conditions in this region - most notably, the variations in the extent and timing of the EAC (East Australian Current). Matt Nimbs, who works with Steve Smith, says there are few records in our area so we are helping to fill in the gaps. Read more about Professor Smith's research on SCU website. This paper is directly relevant for the SSC. The authors describe the relationships between the various sea slugs, and provide images and sightings records from across our region … and beyond. Reef Life Survey is a citizen science project documenting the marine environment around the world. Perhaps you’re a diver keen to take part. Or perhaps you’re simply curious to learn more. The website for the project is certainly worth exploring. It includes survey data for sites in our region. To see species lists - and wonderful images - from hundreds of survey sites along the coast, use their ‘frequency explorer’, zoom in to the site of interest, click on the marker, and scroll down. There is a tab which switches the view from ‘list’ to ‘images’. And many of these images are truly beautiful! There is also a feature to view by species. One way to start is to ‘browse by class’.